With 3 models to choose from, the Galaxy S10 range offers an option for everyone. The Galaxy S10+ is the culmination of a decade of S series innovation—a powerful phone that helps your customers work for longer, wherever they do business. The large curved-edge Infinity-O display helps them focus on work, multi-tasking and editing documents with ease. The powerful battery keeps them going, when it matters most. And with PowerShare, they can bring a colleague’s drained phone back to life*. 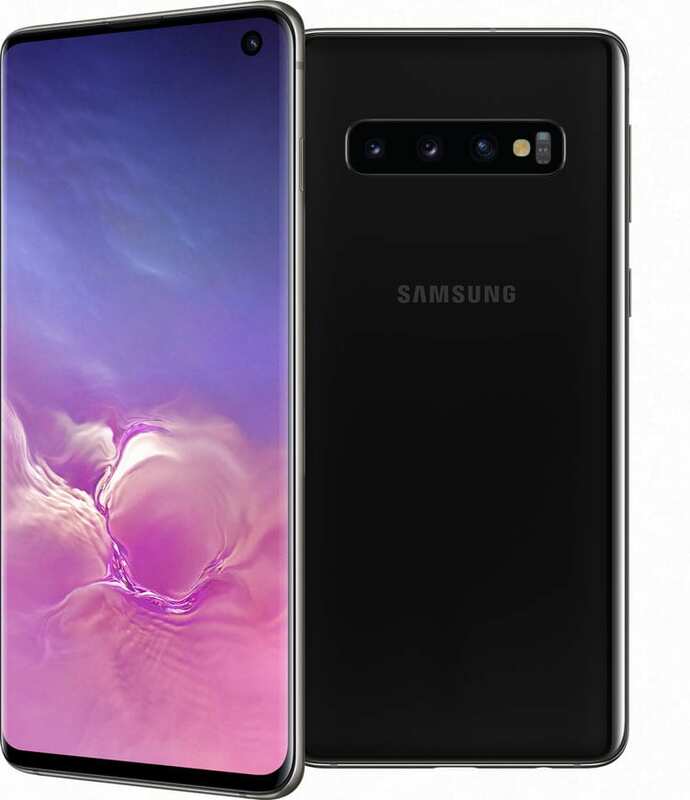 The Galaxy S10+ has 5 cameras, including an ultra-wide angle lens, so they can capture documents, presentations and designs in full detail. Samsung DeX** lets them easily connect to a large screen with a single cable for a desktop-like experience. Plus, everything is kept safe and secure with the ultrasonic fingerprint scanner and Samsung Knox defence-grade security. *Wireless charge compatible (QI standard) devices only. Battery charge above 30% required to PowerShare on the move without being plugged into mains charge. **USB-C to HDMI cable and accessories sold separately. The Galaxy S10 is a powerful, long-lasting phone, built to make a difference to the way your customers work. It’s large, curved-edge display lets them see and do more, with an uninterrupted view. It also features built-in Samsung Knox defence-grade security and ultrasonic fingerprint scanning to keep their phone and business data safe and secure. With a front camera and 3 rear cameras, they can capture every little detail in their photos. And with a superfast processor that really delivers, frozen screens will be a thing of the past. Plus, if they want to present work on a big screen, they simply connect via Samung DeX* with a single cable for a desktop-like experience. The Galaxy S10e features everything your customers expect from an S series phone. It packs all Samsungs latest technology into a convenient and compact design that makes a difference to the way they work. The flat Infinity-O display lets them view documents and apps clearly. The fast processor helps them work quickly and productively. And the powerful, long-lasting battery means they’re always on. With Samsung DeX* they can easily connect to a large screen with a single cable for a desktop-like experience. Plus, with Samsung Knox defence-grade security built in, their phone and data are totally secure. Your customers working life is busier than ever. They need to be always-on, able to react in an instant. And they need to perform effectively at all times, wherever work takes them. The Galaxy S10 range is designed to keep up with even the busiest working day. So, they can work faster and get more out of every minute. Your customer’s phone is one of their most valuable business tools. They use it for much more than checking emails and making calls—it’s their key device for capturing notes, accessing business apps, reviewing spreadsheets or preparing invoices on-the-go. With the Galaxy S10 range, there’s no need to wait until they’re in their office—everything they need to be productive is in the palm of their hand. With 61% of SMEs reporting a cyberattack* — it’s never been more important to keep your customer’s company data secure. With the Galaxy S10 range, their phone is protected from hacks, scams and cybercriminals. They can securely carry sensitive business information with them, and work wherever they are with complete confidence. So, they’ll never worry about their data falling into the wrong hands.